What Do You Need To Start An Online Business Today! Before I specify what do you need to start an online business in 2019 and beyond, let me give you a few things to keep in mind. Many people think starting an online business is so easy to do, that they go ahead and jump in before really understanding everything that’s involved. I will admit that starting an online business can be easy if you know what you’re doing. It certainly is easier than purchasing a franchise, let’s say a Subway franchise, and trying to make a go at that. As you know, if you’ve read any of my blog articles, I’m very partial to digital information. This is my primary business model, as I promote the Wealthy Affiliate membership site. What I want to do in this article is take you through my thought process and the steps I took when starting my own online business. This is going to be the most important thing that determines whether you have any chance of succeeding or not. It’s important that you provide a product, or service, where there are a need and one that you can create a desire for. This can be digital products, or it can be physical products. You could start your own online business without even selling a product. As an example, there are affiliate marketers who make six and seven figure incomes using the pay per click business model with Google AdSense. There are other affiliate marketers who make that much or more using the cost per action business model getting leads for affiliate merchants. You will need to register a domain name and find a place to host your website. There are numerous sources for this, but some of the most popular include Go Daddy and Name Cheap for purchasing a domain name. Blue Host and Host Gator are two of the most popular sources for hosting a website. I would suggest you consider setting up a blog and using it as your primary website. This is very easy to do, and using a WordPress theme that matches the type of business you are in is very easy as well. You need two things to build an email list. Aweber and Get Response are two of the best autoresponders. 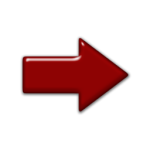 If your budget is low you can start where I start using TrafficWave You can see how I’ve set up my sign-up form on the right-hand sidebar of my blog. The contact information for people who sign up is stored in the autoresponder for follow up email messages from you. If you’re promoting a particular business opportunity, as I do, the company you are in business with you probably has landing pages you can push to build your list as well. The great thing about creating a list that is relevant to your company niche is you can promote anything you want in the future to it. Your email list is a powerful asset that can make you a lot of money for your online business. One of the great things about setting up your own online business using a blog is you can add content to it. This material can be used to drive traffic to your blog by promoting it on social media. You can also implement search engine optimization, or SEO, by targeting keyword phrases in your content. This will help your blog rank on a search engine such as Google, Yahoo, and Bing. Concentrate on building a high-quality blog as this is a good long-term strategy to becoming a player in your market. 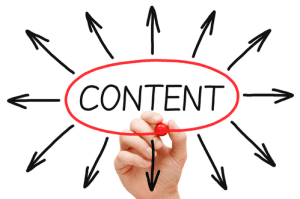 A high-quality blog includes quality content such as articles, videos, and graphics. As you’re getting your blog going, you’re also going to want to market your blog posts on various social sites. This is an important part of having a successful online business today. The primary social sites will include Google Plus, Facebook, and Twitter. Think of these as the big three and for sure you want to set up accounts with those. Three other social sites that can bring you different types of traffic include LinkedIn, Pinterest, and Instagram. These sites have become more popular, and although not as big as the big three we mentioned in the previous sentence, they have very loyal followers you can tap into. I also want to mention setting up a YouTube account. Google owns YouTube and video marketing is another important avenue for driving traffic to your online business. Creating videos with services such as Animoto is one way you can get in the video marketing game. Having videos created for you on sites such as UpWork and Fiverr is another way to get videos published on YouTube. I mentioned my primary product is Wealthy Affiliate. One of the great things about affiliate marketing is the millions of products you have available to you for virtually any niche. One way to access all these great products is to join an affiliate network. Some of the best and largest affiliate networks include Amazon, Clickbank, Commission Junction, and Max Bounty. The great thing about affiliate networks is with one account you can access multiple products in multiple niches. These will come complete with products and marketing tools to promote those products. This is another way to develop your online business and enhance your blog. Add banners for specific products you want to promote. You can also add text links in the content of your blog articles. Some affiliate networks also offer re-branding their marketing tools such as videos, reports, and e-books to give you alternative ways to promote the products are selling. These are some of my ideas on how to start an online business. As you can see, I’m partial to the affiliate marketing business model combined with social media including blogging. 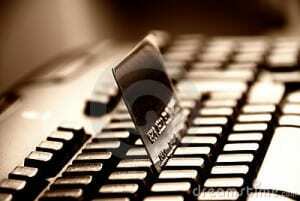 One of the great things about starting an online business is the many different avenues available to you. You may decide to promote one blog and build an authority website. Or you might branch out and use a rinse and repeat system once you have your online business and marketing in place, and develop multiple streams of income in more than one niche. So feel free to check out the system I use to make this all possible. Become a Wealthy Affiliate…Turn Any Passion Into a Successful Affiliate Marketing Business. Hi there, thanks for this article, I’m sure it’s a good starting point for people who just entering online marketing. It’s pretty basic but has enough info to get started. In my opinion, Wealthy Affiliates have great resources and tons of information to teach people how to succeed not to mention great help from the community! I joined WA about four months ago and I learned more in those 4 months that in 4 years in college. Still struggling to make money, no sales so far, but I’m not quitting! Good luck and all the best to you. Hey David, you are on the right track with the teachings at Wealthy Affiliate. I learn all my online training there from 2013 and have not looked back since. The people there are so willing to help you succeed and the energy is surpassed none I have ever seen. If you need a hand with anything please feel free to contact me. I take this business seriously and I will do whatever it takes to see others have the same success. Talk to you soon. Interesting read, many so called guru’s will claim they can teach you how to be successful online without having ever experiencing the success they are teaching. If anyone is looking to be successful online, wealthy affiliate is a great resource because you will be learning from people who have proven success online. I could not have said it better. Those gurus like to show the shiny object, but that syndrome is fastly fading. because of the Internet and people have information at their fingertips, it hard for a company who do not deliver what they say to survive. That is the reason I feel so confident in bringing my friends, family and loved ones to Wealthy Affiliate because I am a living example that their system works, and anyone can have the same success if they take action on the training here. Good to see that you feel that way. all the best and thank you for the comment. What a great read this was! I really enjoyed this article and felt like it gave valuable information. It also helped me realize that I need to create my own Google+ account. 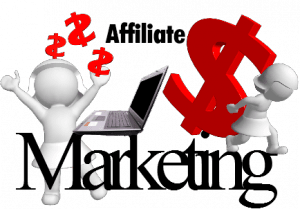 I also liked how you gave several other examples of products and services that can help anyone who is wanting to become an affiliate marketer. I will be checking out some of your examples myself. Thank you for the insight and great information! Glad that you had a good read, I just received information today that Google is suspending their Google Plus Platform. So you do not need to open an account. Any Google plus web integrations will stop serving on March 7th, 2019. My intent was to give a basic overview of someone wanting to start an online business what they would need. I get this question ask many times from my new Team members coming into my business. Although all is explained in the training they received when starting out. Thank you for the comment and good to know that the information was valuable. feel free to stop by from time to time cause I make regular updates on my blog several times a week. All the best. After reading your article, I have understood that these are the genuine and main sources of online business ideas. Though it needs some hard works, dedication, and regularity with some real knowledge, these are the only way of consistent online earning the opportunity. I love the wealthy affiliate marketing best and #no one choice from all of those ideas. I am going to share your article with others. Thanks for writing this helpful guideline. Glad that you were able to get some value here. The online world to build a business is much easier than it was before in the past, but one needs to put in the hard work in the beginning for it to pay off in the long run. One of the reasons I always recommend Wealthy Affiliate is because they take away some of the heavy liftings that need to create a successful business online. Thank you for the comment. Very good article I just read, when we asked what we need to start an online business. In my case I have chosen a product with which I am working in recent years, I am a grower and exporter of blueberries. As a grower I find myself in search of good international buyers. Hi Claudio, my mentor always advice to start with the end in mind, and start from the end and work your way back. meaning see yourself there, get the attitude as being successful and find out what you need to acquire to get you there. Knowlege and support is the number one reason for building a successful business online, and the only vehicle I have come across to get you there is Wealth Affiliate. The training is ahead of the learning curve and the community and support exceed what anyone imagines. Glad I was able to help.